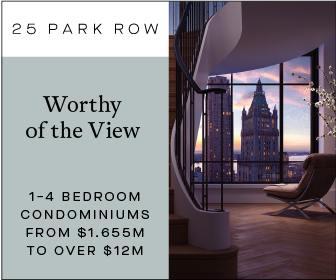 Large developments don’t often come to the blocks of Broadway as it snakes through Upper Manhattan, but today YIMBY has an update on 4790 Broadway, which we first covered back in January of 2017. 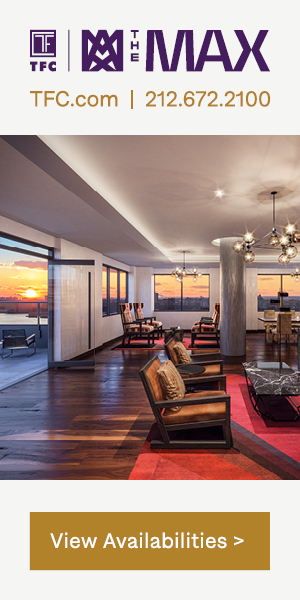 Since then, the City has moved forward with development plans, selecting Fogarty Finger and Andrew Berman Architects to design the project, now revealed through official renderings. The building itself will be 14 floors, with the first three holding a library, community center, and pre-K space. 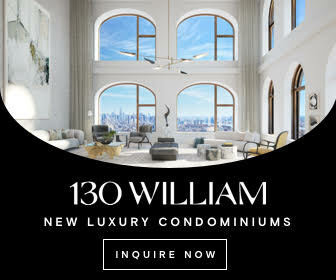 Fogarty Finger is behind the affordable housing, which will yield 175 “high-quality” units, while Berman is designing the first three floors, which will total approximately 20,000 square feet. The architects conceived of the project as a variant of the H-shaped apartment buildings which make up the vast proportion of the surrounding neighborhood’s housing stock. The facade will feature “warm beige brick” and “horizontal stone coursing,” promising context within the surrounding neighborhood. The full development team behind 4790 Broadway includes the Community League of the Heights (CLOTH), Ranger Properties, Alembic Community Development, and the Children’s Village. With regards to income requirements, the project will have income caps set between $20,040 – $40,080 for individuals and $34,360 – $51,540 for a household of three. 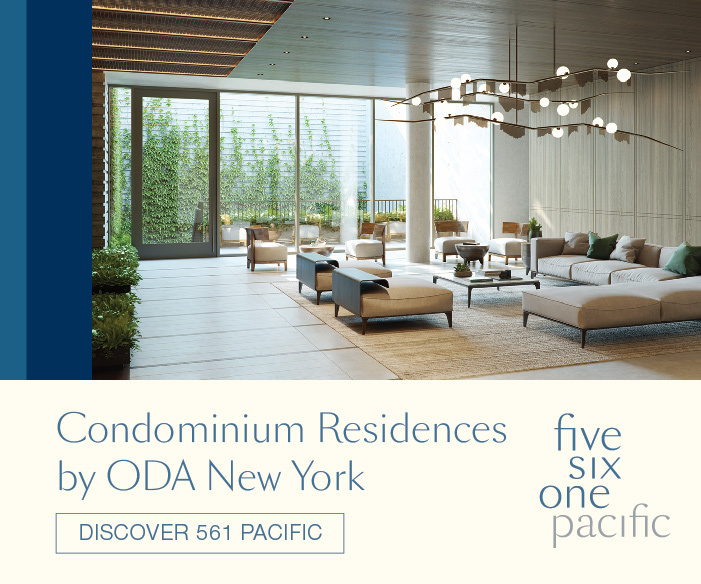 Within the mix, over 20% of all apartments will be affordable to a family of three earning less than $26,000, and a portion of the housing will also be reserved for formerly homeless households. No completion date came with the design release, however a 2020 estimate would seem reasonable. 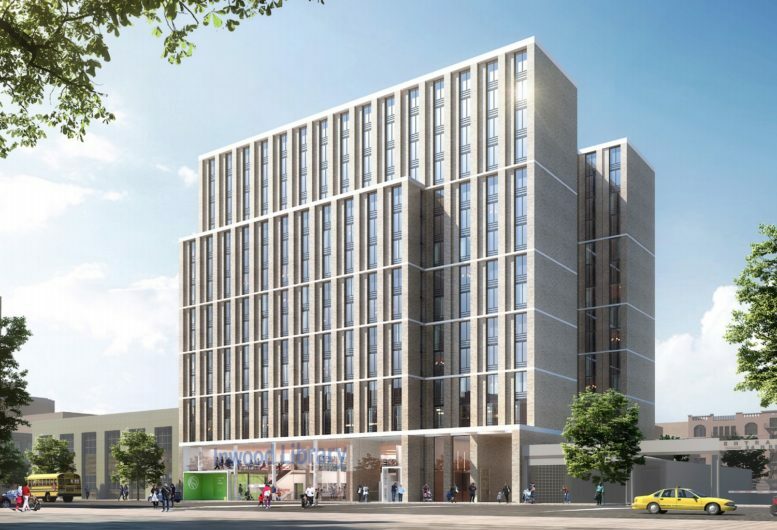 6 Comments on "Renderings Revealed for The Eliza, Library & Affordable Housing at 4790 Broadway, Inwood"
Please pardon me for using your space: I hope next details will show progress. If Ranger Properties & Fogarty Finger Are Involved, It Will Definitely Be A Well Built and Well Designed Property. 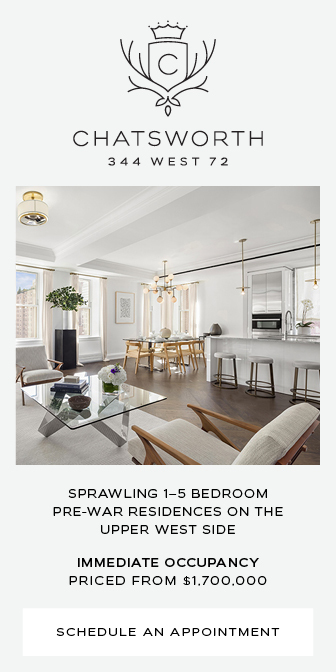 Judging By The Last 2 Collaborations That I Have Seen : “The Baker House” In LIC and Most Recently “The Lanes” In Astoria. So this one is a tricky one, because of the politics behind it. That’s what people in Inwood figured would happen here. 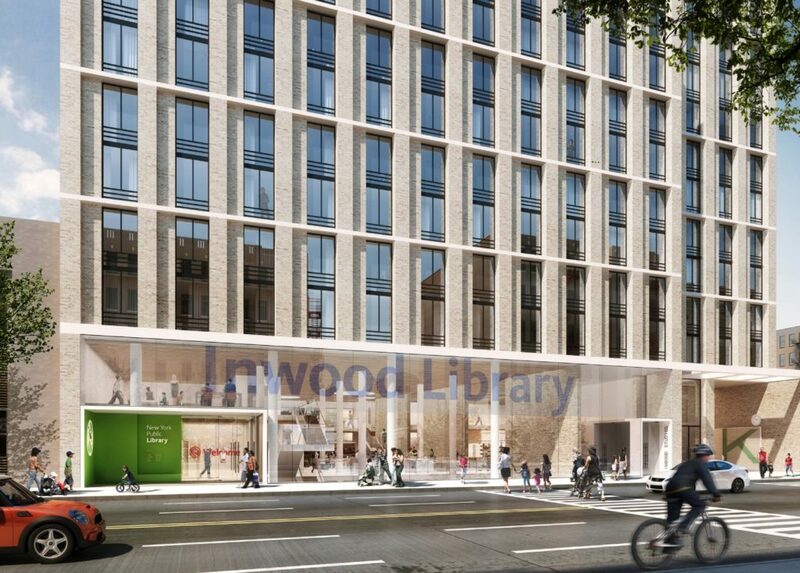 The library was doing just fine and not high on the needs list, but if it was going to get knocked over for housing a 9 story building replacing it would be perfectly normal since that’s pretty much the max height for 98% of all buildings in Inwood. (It’s a very uniformly midrise, medium-density area, as you can see in the photos below). But that’s not what happened. Because the mayor wanted to max out housing units, and because the local councilmember was also all for it (they usually act as a check against wild rezonings), the city decided to spot upzone the site from R7-2 to the equivalent of R8A. That’s a massive increase, and quite illegal all on its own. So to make it kosher, they wrapped the upzoning into the Inwood EDC mega-upzoning that was also going on at the same time to push max housing and trigger MIH. That upzoning has not been popular with most people who live in or know Inwood — a recent Community Board meeting had something like 600 people signed up to speak, only 150 did, and except for property owners and developers nearly all spoke against it. 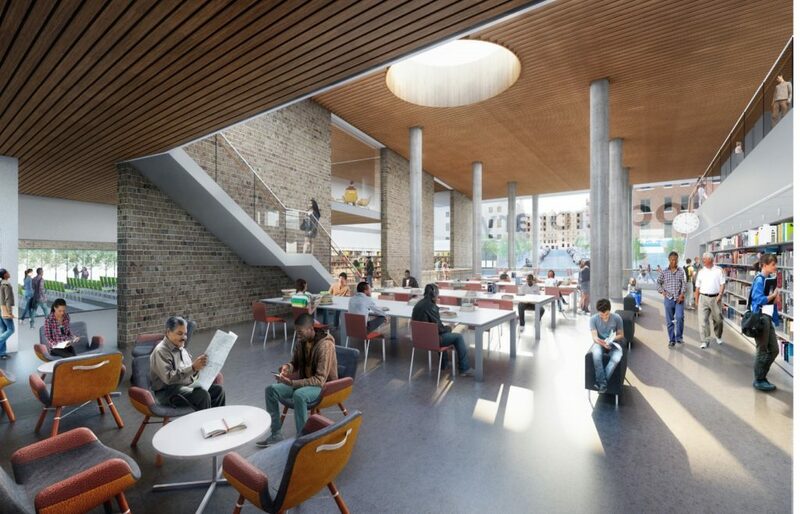 The Community Board votes later this month, so, surprise, here are some lovely renderings of what looks like a great new public facility to sweeten the vote. Those are the images the city doesn’t really want people to see. Why did they not respect local context and zoning and build the smaller building they were supposed to? There is nothing wrong with a new library, preK and affordable housing but the justification for burning the zoning book is lacking. All requests from the community for a smaller, more appropriate building were ignored. The city even went to far as to try to manipulate data from workshop “voting” — they are determined to squeeze this FAR 7.2 building into an area where almost nothing exceeds FAR 4.5. Looks like that section of Broadway could use some more R8A zoning to me. Would like to see the corner properties redeveloped and the parking lot of the school filled in. I would even push for more density along Dyckman St where those taxpayers stand. Thank you. This is the most clarifying comment I’ve seen. I was referring to “Inwood Resident’s” comment.